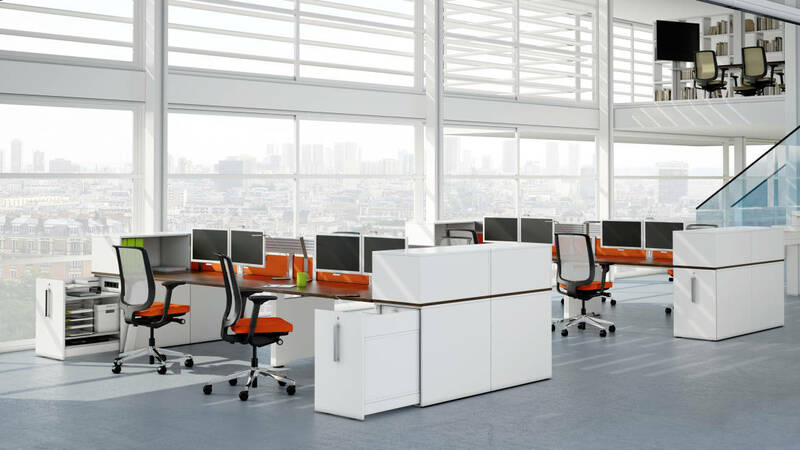 High Density Storage extends the workspace by offering storage near the workstation. 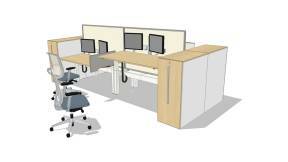 It can be used as a space divider, structuring personal and team workspaces. High density storage helps you organise your documents and tools, with the space and support available for whatever objects and information to be stored. Everything stays visible and close at hand. 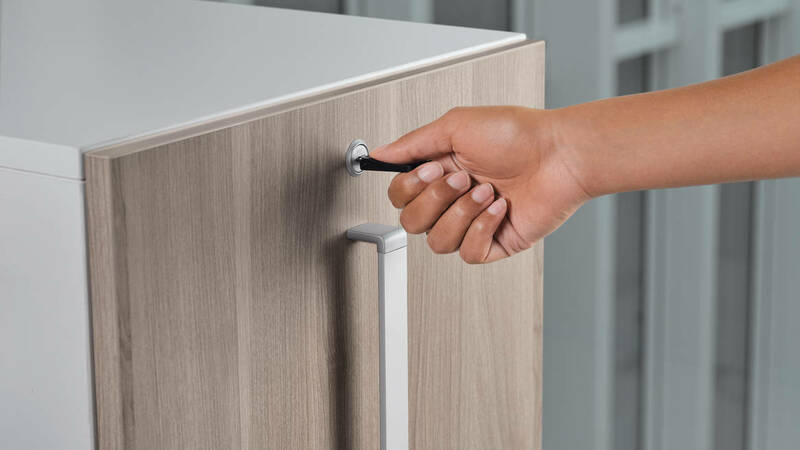 Highly customisable thanks to add-ons such as suspended file frame or drawer, paper trays, boxes and binder holders, it makes routine tasks easier. 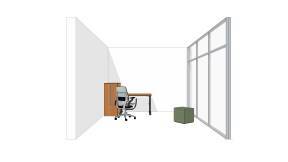 While companies are trying to “right size” their office footprint, workstations tend to reduce in size. High density storage provides a flexible working environment without compromising comfort. 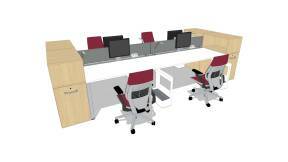 Designed to extend the workstation and help structure individual collaborative spaces. 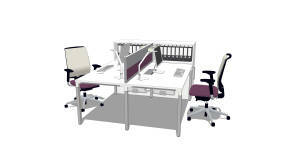 Maintains privacy and enables users to stay focused due to its subtle space division solution. 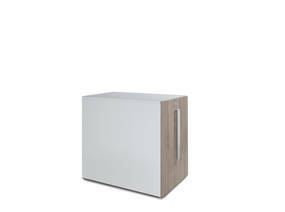 Open, it offers comfort and ergonomy with easy access to everyday materials. Closed, it leaves a tidy workstation. Easy access to power: Plugs are integrated inside the storage for easy access to power. 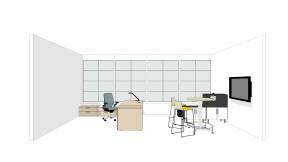 High density storage can be used juxtaposed to the desk or stand alone. The inside cupboard can be customised with 1+1 Organisation Tools. 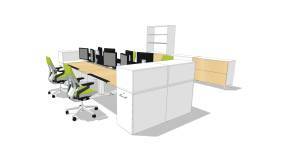 Finishes and design match with the Share It range for a consistent office space. 20% recycled content by weight. PVC-free. 45% recycled cardboard in packaging. Water-based inks without solvent on packaging. ISO 14001/ EMAS certification of the Durlangen site (Germany). No gluing processes. Powder coat painting: VOC-free and free of heavy metals. Some of the powder coat painting that does not attach to the product is reused in the painting process. Waste wood directly reused in the plant’s heating system. Manufactured close to customers, in Durlangen (Germany). Designed for a long product life. Replaceable parts. Maintenance information is available on steelcase.com. Up to 96% recyclable by weight. 100% recyclable cardboard for packaging. Quick and easy disassembly. Plastic parts clearly labelled for easy sorting and effective recycling. 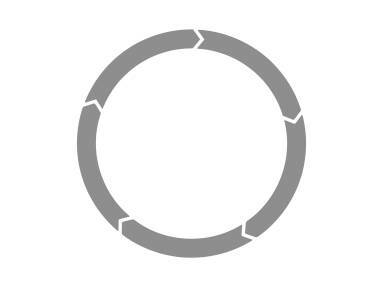 Based on ISO 14021, its purpose is to communicate precise and verifiable information on environmental aspects of the product during its life cycle. This German environmental certification is awarded to products with a low environmental impact. This product is currently going through the Indoor Advantage Certification process, meaning that the product should meet tough indoor air quality standards. 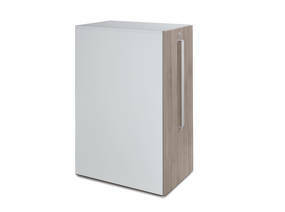 The wooden components are PEFC™ certified (Programme for the Endorsement of Forest Certification), ensuring that wood originates from sustainably managed forests.